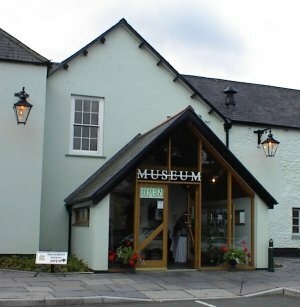 The Museum is situated in North Devon, in the heart of the friendly market town of Holsworthy. A mere 10 miles from the North Cornish Coast at Bude, offering good road connections with Exeter (45 miles) and the M5, using the A30 dual carriage way at Okehampton (20 miles). ADMISSION - Is free, however, we rely heavily on your donations to keep the museum open. ACCESS - The museum is all on one level, however, please be aware, due to the age of the building, the floors are uneven and ceilings low. TOILET FACILITIES - We do not have public toilets on site, the nearest are approximately 100 yards from the museum entrance. *Holsworthy Museum is managed and run entirely by volunteers, consequently there may be occasions when opening times or services differ from those shown here. If you are planning to visit the museum to carry out family or local history research please refer to the 'Family & Local History' page for important information. Access to the Family Records Service Point, parish records and museum documents is strictly by appointment only. To avoid disappointment, please ensure you contact us in adequate time before you plan to visit.